Essence offers custom Original Equipment Manufacturer (OEM) and Original Design Manufacturer (ODM) services for accessory and jewellery industry. Production service (design & production) under Dutch management. With several production lines we can make your ideas three-dimensional! 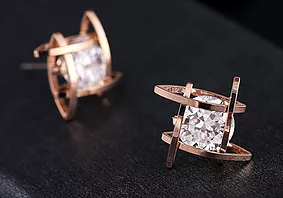 Fashion jewelry and accessory series: creative new design development, efficient production, we inlay white zircon, color zircon, rhinestone, pearl and natural semi gem into eco-friendly alloy materials, brass, copper, 925 silver with plated silver. We work exclusively with the latest technical prerequisites: from 3D configuration-design-software systems for jewelry and accessory, with CAD CAM 3D waxprinter and laser micro processing with a wide spectrum of new applications. Private Label Manufacturing is one of our specialities. Our clients get a finished product that far surpasses the beauty and quality of any of the stock manufactured abroad. In addition to manufacturing for designers and jewelry professionals, we welcome bulk orders of any size and materials. If you have interest in outsourcing the production of your product line, or have a special request for a Private Label please contact us. Please contact us to get started on your custom CAD Design. We will work with you to create the perfect design and model for your approval. Already have a CAD Design and want to start producing? Send us your files with instructions. Our CAD Service accepts STL and 3DM files. The prototyping method and material used to produce your model will depend on your design and purpose.